Greeting all, on Sunday March 11th at 3pm (RSVP here!) 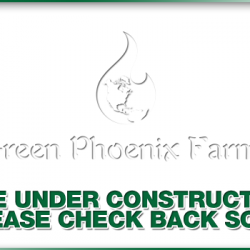 we will be gathering at the Farmers Branch locale for Green Phoenix Farms. We will be gathering to go over the construction of a Vortex (or Swirl) filter from a common 5-gallon bucket from Home Depot or Lowe’s and a few other pieces. Ok, so maybe that is a bit of hyperbole…. But the truth is that for about $15-20 in materials you will be able to build a filter that will operate at about the same level of efficiency as the commercially produced model and will also be significantly easier to insert into an existing system or to modify if it becomes necessary at a later date. Additionally, my personal joy with the design that I will teach you is that it is operated totally by the existing water flow that you have on your system. You will not need to buy additional pumps, or to install complicated redundant piping or anything… In fact, you could simply keep this in your shed and only take it out for use when your system is running a bit dirtier than usual. I hope to see you all at the class this coming Sunday to learn how to build this filter, but to further tempt you I am going to mention these tidbits — 1. You will leave with a material list and construction guide for the entire project, and 2. You will also have a chance to take home the demo bucket from the class (it will be raffled off to someone in attendance!) But beyond both of these incentives, we will have a brief tour of the 750 gallon system that is in operation at this location. It has recently undergone a renovation (all the growbeds have been upgraded to use Uniseals, and the distribution piping has been completely remodeled), and is now ready for full scale production for 2012.